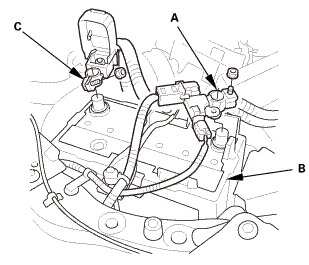 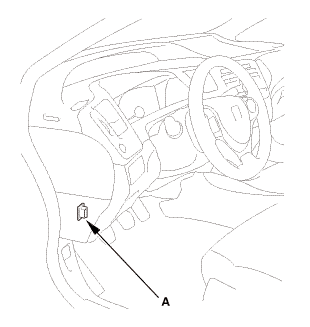 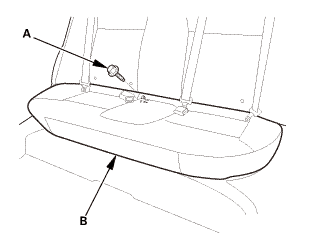 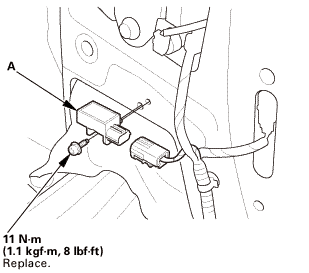 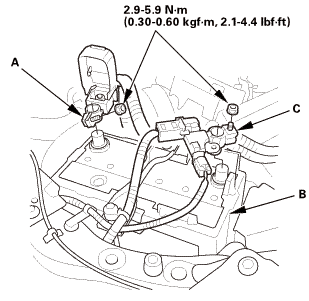 Disconnect the side impact sensor (second) connector on the floor wire harness. 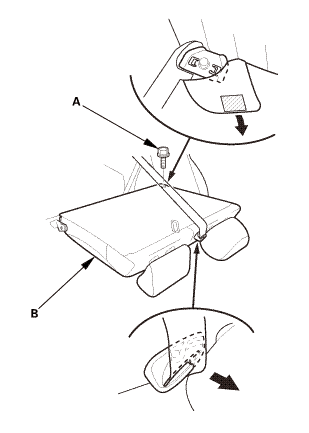 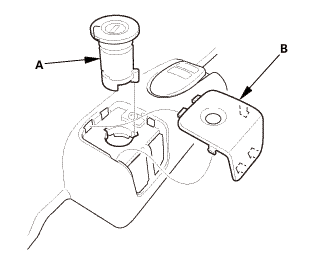 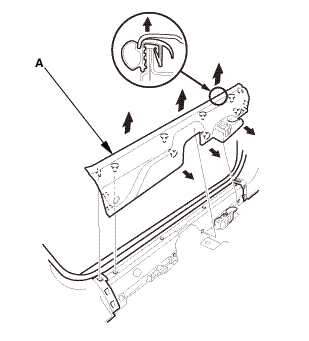 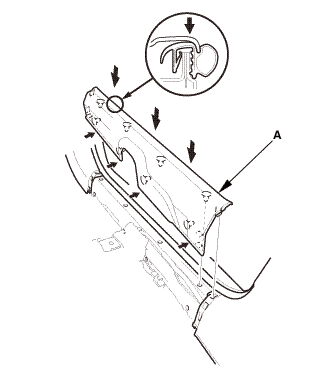 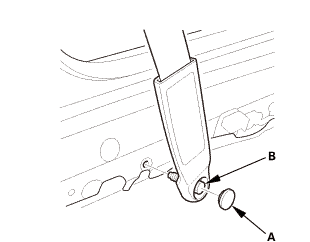 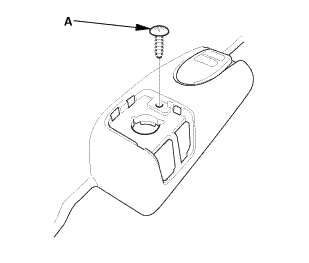 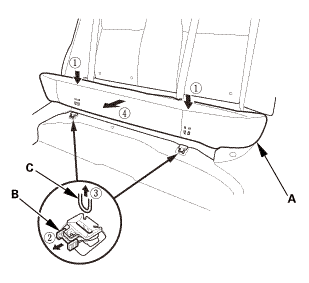 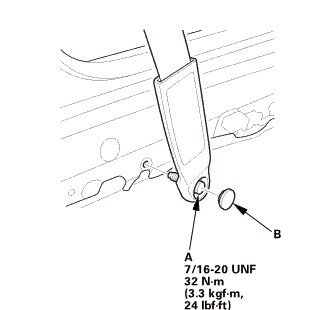 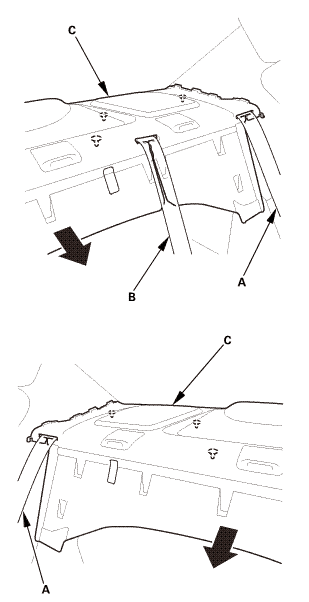 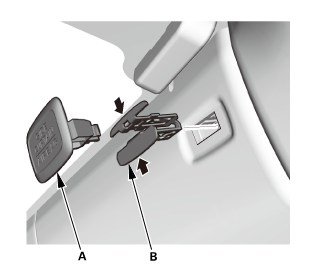 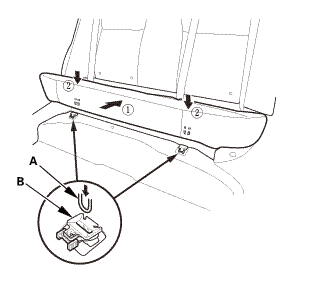 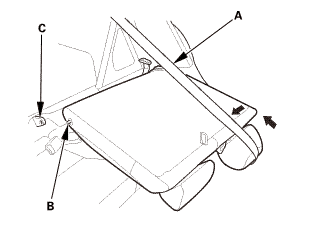 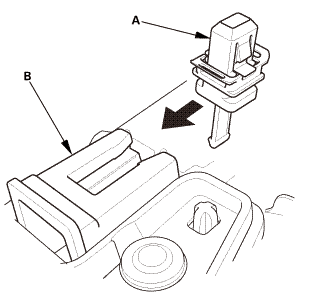 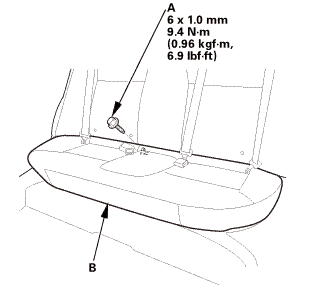 Remove the TORX bolt using a TORX T30 bit, then remove the side impact sensor (second) (A). 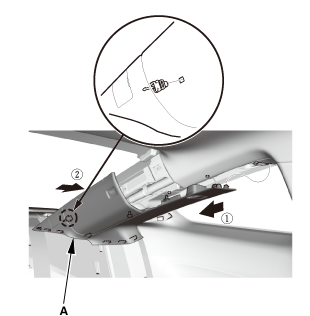 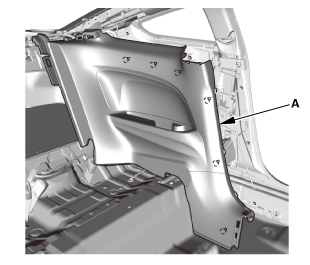 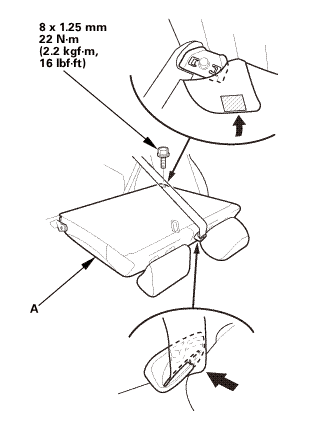 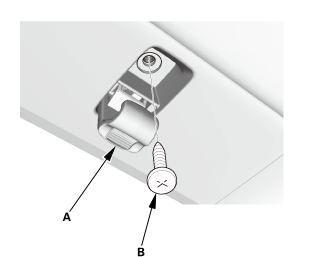 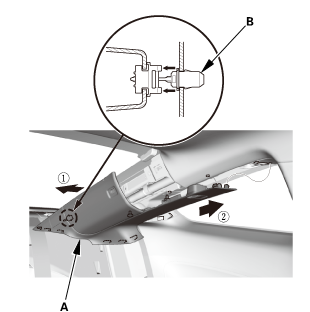 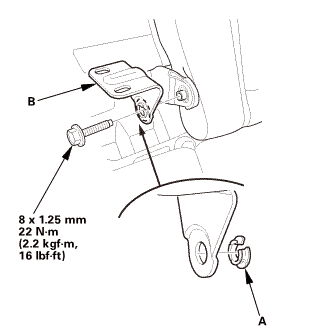 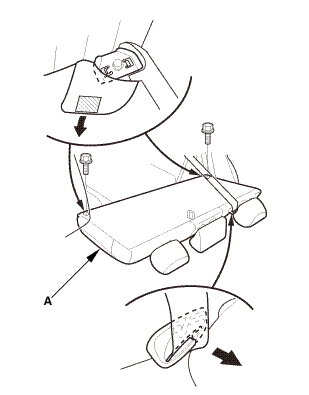 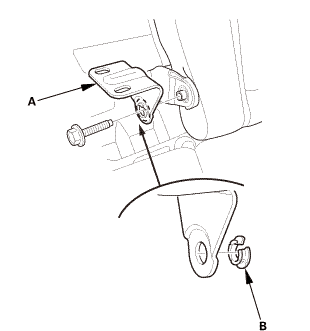 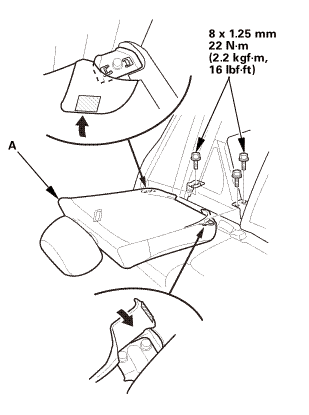 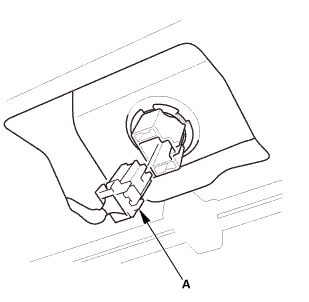 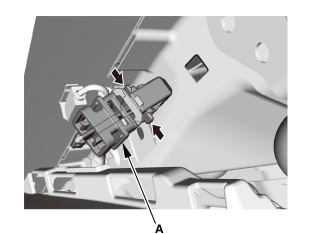 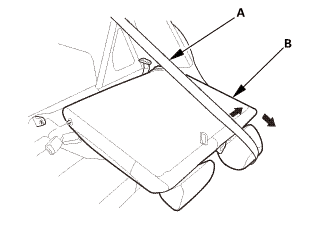 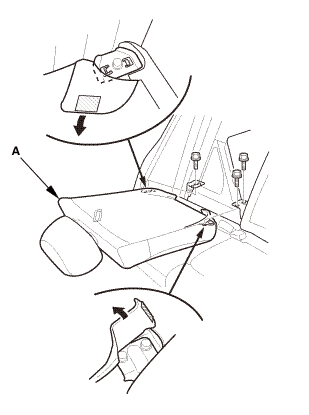 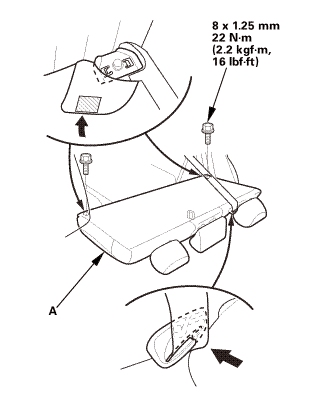 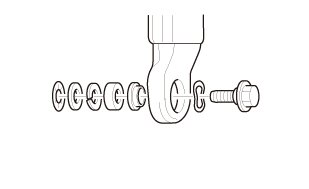 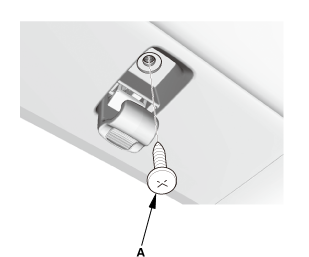 Install the side impact sensor (second) (A) with the new TORX bolt using a TORX T30 bit. 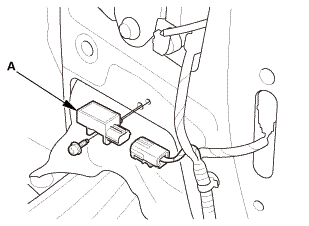 Connect the side impact sensor (second) connector on the floor wire harness.